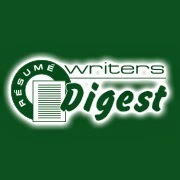 Rosa Vargas has put together an entertaining collection of "Worst Resume Mistakes" on her blog. Feel free to use the "Comments" section on here to share yours! I've been wanting to do this kind of a project for quite some time -- a "mockup" of a resume for a famous person. (On my to-do list: Santa Claus). 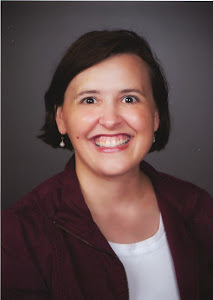 Monster's Resume Expert, Kim Isaacs, has produced resumes for George Washington and Abraham Lincoln. Take a look! I've seen a lot more commercials recently for The Ladders, and so I was intrigued when I was catching up on some old(er) e-mails this week and came across this column by Nick Corcodilos ("Ask the Headhunter") about The Ladders. At first TheLadders coaxed its market by contracting with independent professional resume writers to actually do the writing. But once this resume business was launched, TheLadders dumped its stable of professionals and started recruiting "writers" the same way it recruited customers -- indiscriminately. (I know: They tried to recruit me.) Soon I started getting stories from disgruntled resume clients complaining that TheLadders wouldn't let clients talk to the "resume writers" about their $900+ resumes. Then I heard from the resume writers TheLadders dumped. They claimed the operation shifted from professional staff to greenhorns. Indeed, there was quite a bit of discussion a while back about resume writers who were contracted with The Ladders who suddenly lost their contracts (or had them scaled back). Resume writers were also concerned about the boilerplate resume critiques being provided by The Ladders -- I wrote about this last June. Corcodilos reports that the actions of The Ladders suggest they are gearing up to sell the company; whether that pans out is yet to be seen. But given the number of individuals that are contracted to write for The Ladders, it's something to keep an eye on.